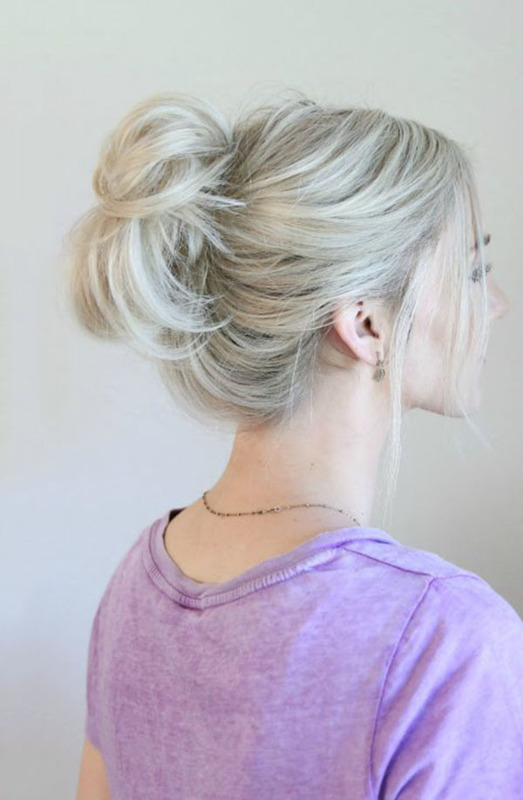 Messy Bun is a simple hairstyle that suit for all kinds of occasions and event. It’s popular and easy to achieve in Summer. Want to have a try this glamorous & comfortable hairstyle? Have a check below steps. Use your fingers to pull your hair to the back or side of your head and make it into a ponytail. Secure the ponytail with elastic or hairband. Wrap the ponytail into a loop around the hairband and stick the end of the ponytail back under the hairband. 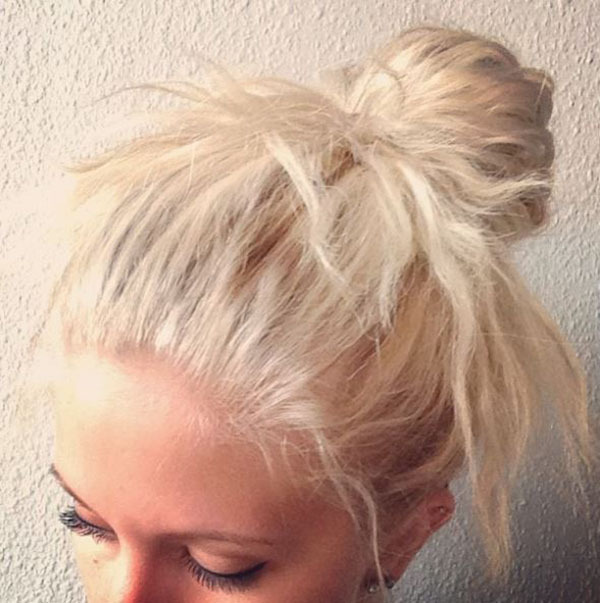 To give the bun the messy effect, just leave some strands of hair fall through the bun. Gently pull the edges of the bun to make it look more wider and thicker. Tuck any unwanted fallen strands back into the hairband. Or wrap a few loose strands around the elastic and pin them with a bobby pin. 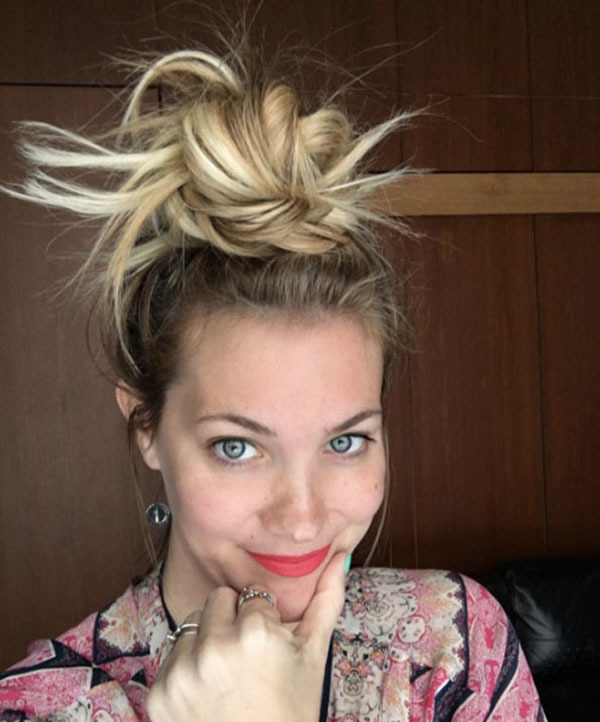 If you are fond of high bun, you can flip your hair upside down and gather it in your hands. Which will increase your hair’s volume. 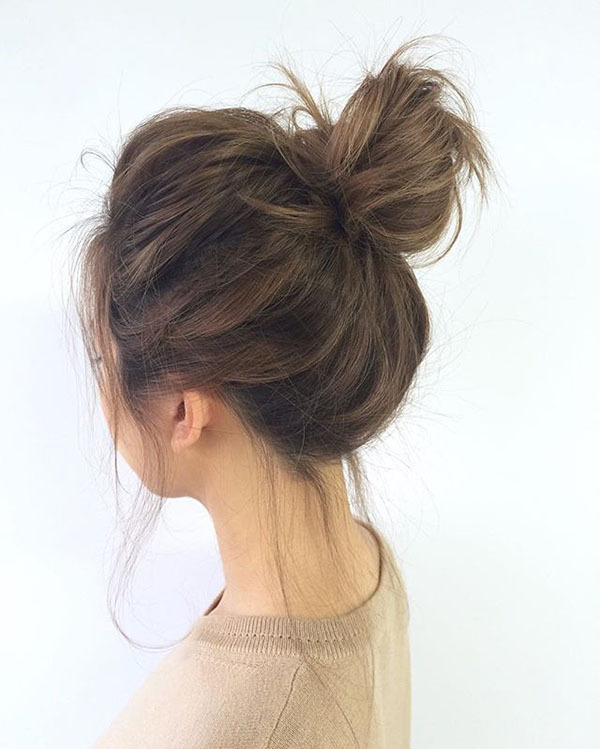 If you’re fond of a lower bun then gather your hair closer to the nape of your neck. The point is to make your ponytail high or low first. The position of the ponytail is the key. 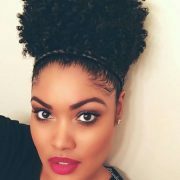 If you want you bun looks more voluminous, you can run you fingers through the front of your hair to loosen the elastic or hairband and add body. 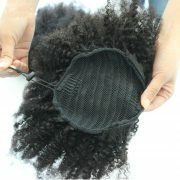 It will make the bun be more classic, like the crown, which is perfect for the office ladies. Wear the headband 2 inches away from your hairline to make your clean hairline high contrast the messy bun. If your hair is blonde then pick some dark color headbands, if your hair is brown or black, try using white or some light color headband. These will make the messy bun with more layers. Add decorative hair pins, clips or jewels. 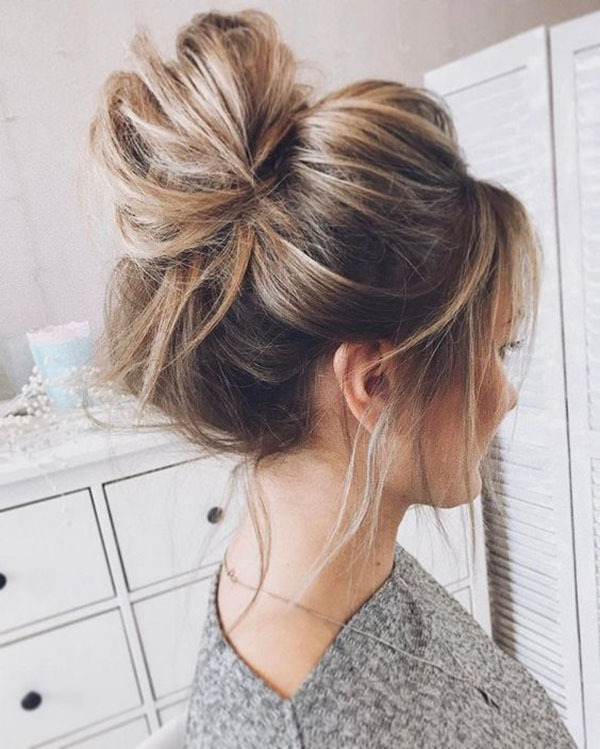 To make your messy bun hairstyle more unique and features your inner thoughts. Picking some beautiful hair accessories to decorative your hair, like the jewels, chic clips or pins, etc. Find out what works best for you. Hair accessories will make the bun full of elegance. To give your look more shine, adding the hairspray is a good method to keep your look be stunning all day. “It’s so hot today!” Maybe this is the most frequency greeting word we heard about these days. Indeed, the sun is start to burning us in Summer. Short dress, t-shirt, short haircut and sunglasses will be seen everywhere in the street. 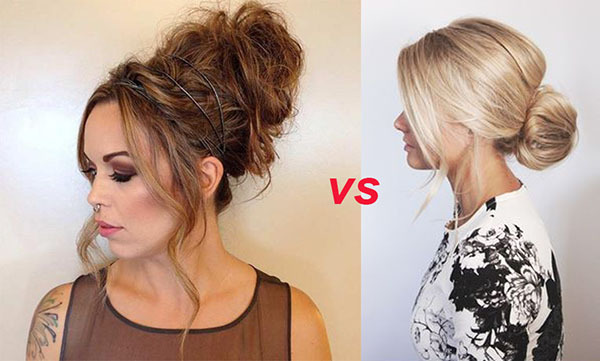 One of the latest chic hairstyles is the octopus bun.The octopus bun is a perfect high-fashion messy hairstyle. 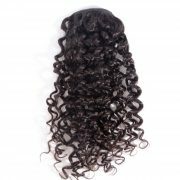 It has became one of the most trendy Summer hairstyles to women. 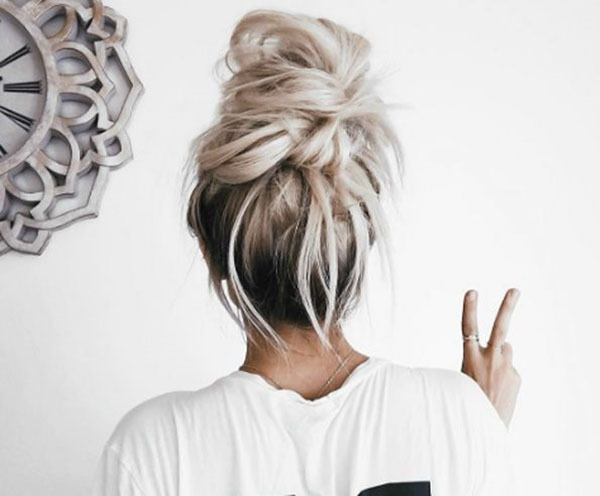 It looks similar to the messy bun but with an updated twist to make it full of aesthetic. It gives us a simple fashion that simple is more, especially in hot season. You can style in up or down as you like. If you like a defined textured style then you can add some wax or hairspray to give it more voluminous. It is also look perfect with a polished style. What you need to do is tendrils dangle your bun, sweep down to your eyebrows and flat ironed it. 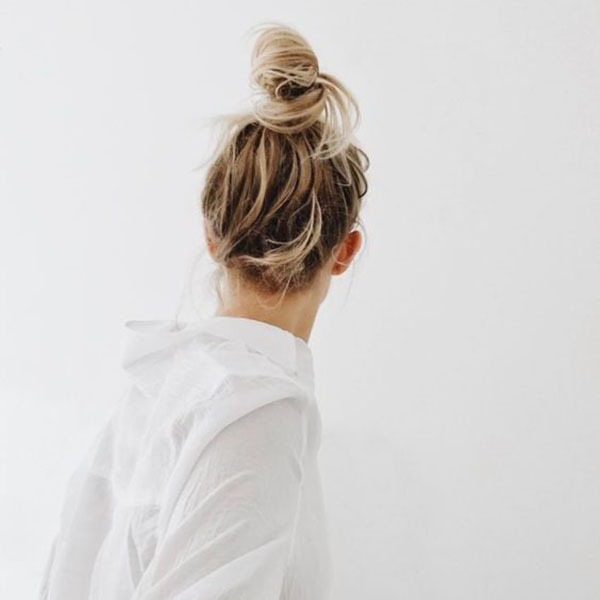 Octopus bun is also often seen from the gym, that’s why someone also call it as gym bun, outdoor picnic or sporting plaza, thanks to its low-maintenance feature, it looks good even with few days out of unwashed strands. 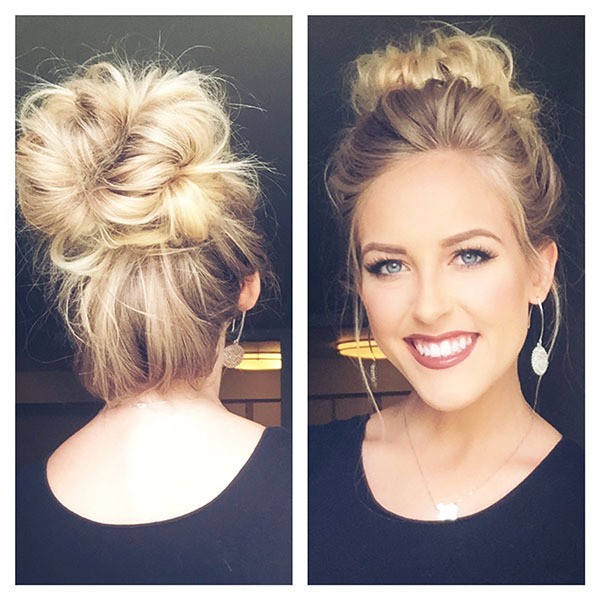 To make this octopus bun, grab your hair and pull them up on top of your head as you’re going to do a high ponytail, and then just create a loop out of your lengths, don’t pull it all the way through. Let the ends hang out the front causally and secure it with a hairband or elastic. Then you have already achieved a octopus tentacles-like, the chicest Summer vibe hairstyle.